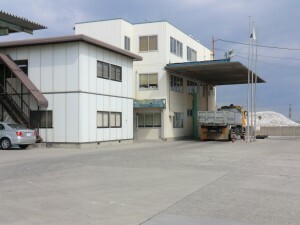 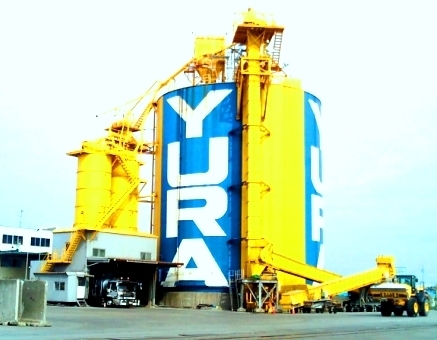 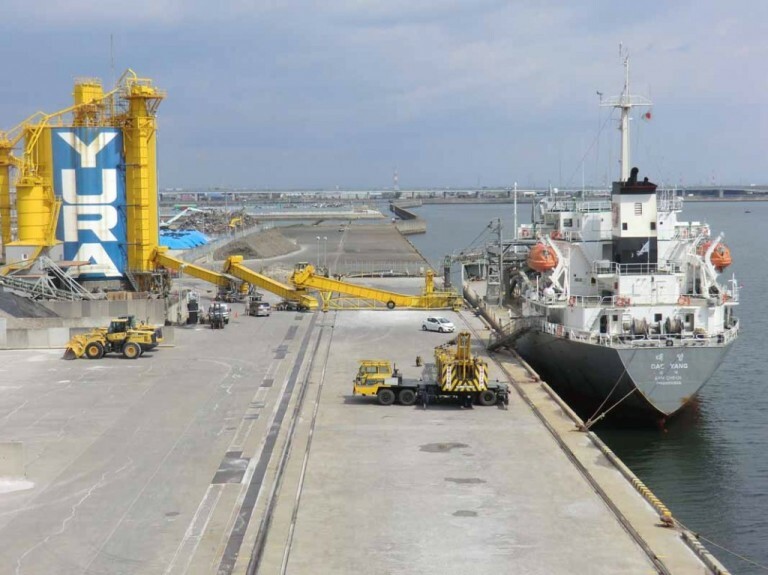 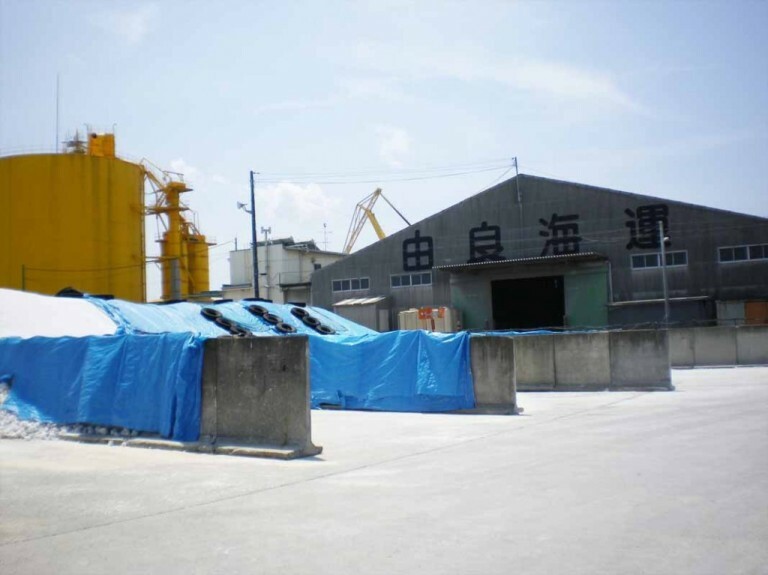 Completed in 1982 and measuring 250 meters in total length, Yura Futo is a private wharf situated in the West-3 area, which plays a pivotal part in port-based logistics. 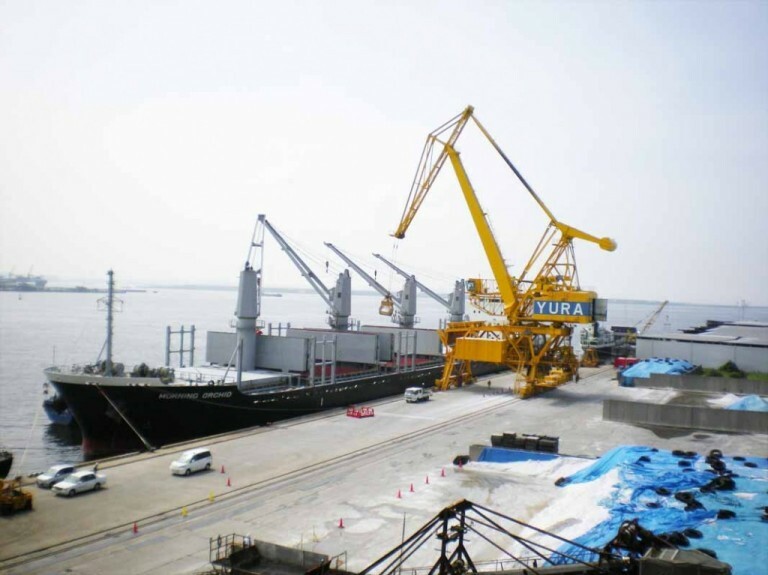 Outfitted with a level luffing unloader for discharging cargo from large ships upon their arrival, this wharf is capable of performing efficient cargo-handling work. 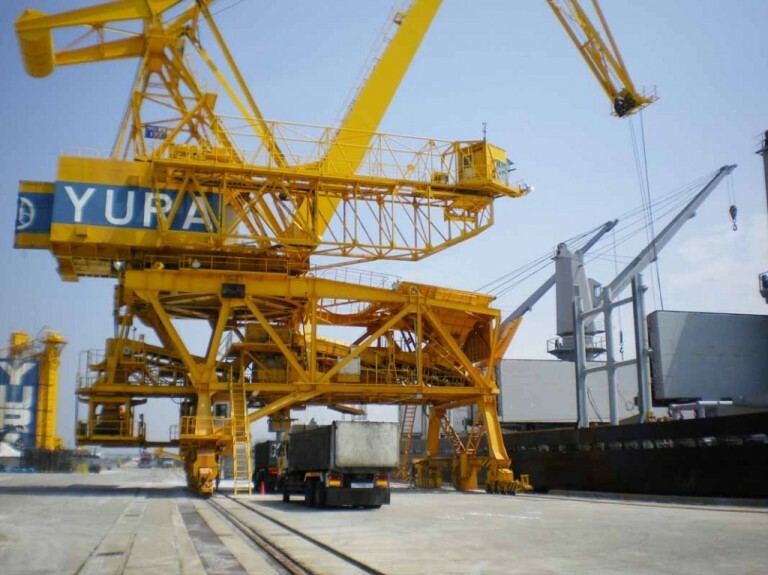 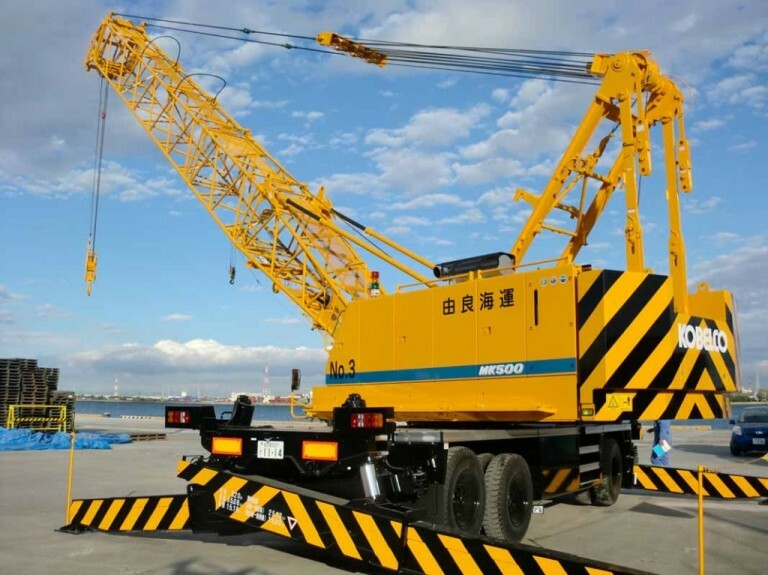 A wide variety of bulk cargo transported to these shores from around the world will be smoothly and rapidly discharged as we proceed to adopt such cargo-handling systems at this site.